The old ideology that skin care is only for girls is changing in the cosmopolitan cities with many men using skin care products as well. But even with this mindset shift, men still do not seem to be comfortable about following a good skin care routine. Besides shaving and basic grooming, it is quite rare to see a man devote more than a couple of minutes to his skin. 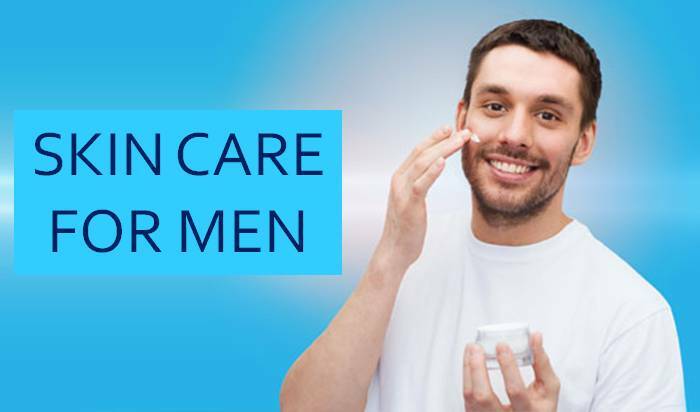 Men should know that proper skin care isn't going to occupy hours. It really just takes a few minutes. Just wash the face with some mild facewash. Do not use strong soap on the face. Slap on some cold water and rinse. Just a couple of times a week, use a cleanser and some lukewarm water and clean using a damp washcloth. Slowly work in the cleanser in circular motions. Cleanser helps to remove oil and dirt clogged in pores. Always pat the face dry with a clean towel. In the end, just dab on some moisturizer. Everyday factors like the wind can dry your skin and can cause damage. Apply a moisturizer regularly. To prevent tanning, put on some sunscreen before heading out. An SPF factor of 15 should do the job. Shaving is always hard on the face, so get it done right. Wash the area with hot water before applying shaving cream. Allow the cream to settle in for a few minutes. Use a sharp razor that has a double blade attached to it. Take your time. Rinse with cold water, not hot. Using aftershave cream works better than applying liquid. Eating healthy is without a doubt great for your skin. Include fruits and vegetables regularly; they often contain multiple antioxidants that can reduce skin damage. Exercise will do more than simply get the heart rate going. It will clear pores and increase metabolism. Probably the easiest and best way to good skin is to drink plenty of water every day. The majority of the body's cells are made up of water, so it's logical to keep your body hydrated. Drink even more water if you happen to sip on other beverages such as coffee, soda, or alcohol. This is important because those drinks dehydrate you. Lastly, remember that following the above tips isn't going to give baby-like skin overnight, but will make it look healthier and younger. So what are you waiting for? Get started!